It isn't news anymore that latest "invention"; the Apple maps which comes with their new iOS6 update is appalling and quite frankly it is unusable. I already have a couple of iPhone4 friends who are asking me for advise between android and windows phone as they are prepared to switch and of course you know my response 🙂 and they did too. 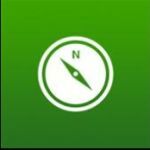 The bad news is iOS6 and Apple's map app is horrible, the good news however is that iphone users can use Nokia's effective maps system from their browser. Yes, Nokia's browser map is 200% better and more efficient that Apple maps. Here is a video from unleashthephones' Alvin Wong comparing the new, but useless Apple maps with Nokia maps on an iOS6 running iphone. Nokia NL cash back for your Old mobile when switching to a Lumia 800/900!